Pakistan received its independence from British India in 1947. It was created on the basis of religious identity, so that Muslims from British India, which had an overwhelming majority of followers of the Hindu religion, would have a nation to call their own. It is bordered by India on the east, Iran and Afghanistan on the west, the great Karakoram mountain range and China on the north, and the Arabian Sea on the south. Modern-day Pakistan is divided into four major geographic divisions known as the North-West Frontier Province (NWFP), Punjab, Sind, and Baluchistan. Each of these regions has its own language and ethnic groups. The capital of Pakistan is the modern city of Islamabad, although its cultural and economic centers continue to be Lahore and Karachi. Pakistan boasts the site of the famed Indus valley civilization (B.C. 2500 to B.C. 1700), including prehistoric remains at Mohenjo-Daro, near the modern Pakistani city of Larkana, and at Harappa, near the city of Lahore. The Indus valley civilization has remained an interest for archaeologists because of the society’s high level of sophistication and stability over several centuries. Pakistan’s ethnic and cultural diversity has been formed through legacies of advancing Persians, Turks, Arabs, Huns, Greeks, and Mongols, most of whom practiced Islam. From about the eighth century until British dominance increased in the eighteenth century, Muslim rulers established kingdoms in northern India. As a result, many Pakistanis and others in British India converted to the religion of the new people. When the struggle for independence from the British colonizers started in India at the beginning of the twentieth century, Hindus—followers of India’s majority religion—and Muslims fought side by side for their freedom. The Indian National Congress, the political party that eventually led India to its independence, had many devoted Muslim members who were willing to give up their lives for the cause of India’s freedom. Mohandas K. Gandhi’s movement of satyagraha, or non-violent passive resistance in the face of British oppression, formed the key to India’s response to British colonization and gave shape to the drive for independence. Hundreds of thousands of Indians, both Hindu and Muslim, refused to cooperate with their British colonizers on every level of daily life—from the social to the political to the economic. Finally, the British decided that they could no longer rule over India; they formally relinquished its Indian colony in 1947. However, as the goal of independence appeared more likely to be achieved, a section of the Muslim leadership led by Mohammed Ali Jinnah (1876-1948), who later became independent Pakistan’s founder and first governor general, felt that Muslims would never be accorded equal treatment in a largely Hindu India. Because Jinnah feared political, social, and cultural subordination to the Hindu majority, he started a movement to establish a separate state based on Islam for the Indian Muslims. This group felt that in order to be truly free, Indian Muslims needed their own homeland. The independence leaders, both Hindus like Nehru and Mohandas Gandhi, and Muslims like Jinnah and Liaquat Ali Khan, who later became Pakistan’s first prime minister, worked together with the British to make the transition from British India into independent India and Pakistan a reality. When the British finally left India in 1947, two independent states, India and Pakistan, were formed. The separation was a consequence of, and resulted in, feelings of some bitterness between the two nations. Hundreds of thousands of Hindus and Muslims died in the riots that followed independence, as Muslims from India migrated to Pakistan and Hindus who lived in the newly created Pakistan streamed into India. Refugee camps were created on both sides of the border between the two countries to deal with these mass migrations. These difficult, even tragic, beginnings that marked the two countries at their inception continued to be reflected in the relationship that has developed between them in the post-independence era. India and Pakistan have fought three wars over the years and have been involved in many other confrontations, particularly over the disputed Kashmir region that lies between the two countries and is today the scene of a protracted, three-way conflict among the Indians, Pakistanis, and Kashmiris, who are seeking independence from both India and Pakistan. However, there are also ties of a shared history and culture that bind the people of the two countries. Many Muslims who chose to remain in India have close family members who moved to Pakistan and some Hindus remained behind in Pakistan, ensuring an intertwined destiny for the two countries. After the death of Jinnah, Pakistan was ruled by a series of army chiefs under what were called martial law regimes. Pakistan’s presidents in the 1950s and 1960s were army generals who assumed the highest political office. In 1971, Pakistan was divided again as a result of ethnic insurgency in its Eastern wing, which was populated mainly by Bengali-speaking Muslims, and the subsequent war with neighboring India. As a result of this division, a new sovereign country—Bangladesh—was created; Pakistan has since recognized Bangladesh and has established diplomatic and trading relations with the new nation. An overwhelming 98 percent of the Pakistani population are followers of Islam. There are much smaller Hindu, Christian and Zoroastrian minority communities. Pakistan is not a secular state; the state religion is Islam, and religion enters many aspects of Pakistani political and social life. There are also several distinct ethnic and linguistic groups in Pakistan, including Pathans, Punjabis, Sindhis, and Baluchis. The Pathans, also known as the Pushtoons or Pakhtoons, come from the region of the North-West Frontier Province (NWFP). They include tribes on the border of Pakistan and Afghanistan, although the community has become increasingly urbanized in recent years. The Punjabi community is the center of education and industry in Pakistan and includes both rural and urban segments within it. The Baluchis from Baluchistan were originally a semi-nomadic people; today, while many continue to follow ancient traditions, others have moved to the city of Karachi in search of employment. All these communities have their own languages. The Sindhis come from the region of Sind and are a mixture of several different ethnic groups but share a common language, Sindhi. These subcommunities, who are represented in the larger Pakistani American community, have experienced some tension in recent times. Pakistan has had four constitutions since 1947. Benazir Bhutto, the Harvard-educated daughter of Zulfikar Ali Bhutto, Pakistan’s president from 1971 to 1977, was voted into power in 1988, in the country’s first largely-free national elections. She led her father’s political party, the Pakistan People’s Party (PPP) to victory. She then lost the 1990 general election, but is today head of Pakistan’s government once again. Under Benazir Bhutto, Pakistan has made significant strides towards the establishment of democracy, although it still faces internal threats of ethnic strife and religious fundamentalism. Since Pakistan only came into existence in 1947, any documentation of the life of Pakistani Americans can technically only commence from that year. However, it should be noted that Muslim immigrants from India and the region that is now Pakistan entered the United States as early as the eighteenth century, working alongside their Hindu or Sikh brethren in agriculture, logging, and mining in the western states of California, Oregon, and Washington. In 1907, around 2,000 Indians, including Hindus and Muslims, worked alongside other immigrants from China, Japan, Korea, and Italy on the building of the Western Pacific railway in California. Other Indians worked on building bridges and tunnels for California’s other railroad projects. As the demand for agricultural labor increased in California, Indians turned to the fields and orchards for employment. Muslim agricultural workers in California sometimes brought an Imam or learned man to the fields with them. The Imam proceeded to pray from the Holy Quran several times a day when the men took their breaks. Muslims from the Indian subcontinent became successful as land tenants in the early part of the twentieth century, and leased or owned land in many California counties in order to grow rice. Many of these ventures were very successful, and many Indians, Hindu and Muslim, prospered financially as they increased their acreage and even bought small farms and orchards; however, heavy rains in 1920 devastated some rice crops and drove some Indians into bankruptcy. Like Hindu and Sikh Indian immigrants, some Muslims chose to return to India after they had achieved some amount of financial prosperity. Many others, however, stayed, putting down firm roots in California and the adjoining western states and sometimes marrying Mexican women, since the immigration of Muslim women from the subcontinent was nonexistent. While all Indian immigrants faced racial prejudice, Muslims from the subcontinent were also subject to added prejudice against their religion, Islam. Among the common misconceptions of the Islamic faith that existed in America during that time were those that viewed Muslims as polygamists and therefore not suitable people to be allowed to enter America; there were also calls for the expulsion of Muslims already in the country. Expulsions of Indians from the communities within which they worked were also attempted by other Euro-American workers. The Asiatic Exclusion League (AEL) was organized in 1907 to encourage the expulsion of Asian workers, including Indian Hindus and Muslims. The immigration of Indians, Hindu and Muslim, was tightly controlled by the American government during this time, and Indians applying for visas to travel to the United States were often rejected by U.S. diplomats in important Indian cities like Madras and Calcutta. In addition, legislation was introduced in the United States that attempted to legally restrict the entry of Indians and other Asians into America as well as to deny them residency and citizenship rights. Some of these pieces of legislation were defeated, while others were adopted. For instance, a literacy clause was added to a number of bills, requiring that immigrants pass a literacy test to be considered eligible for citizenship. This effectively ensured that most Indians would not be able to meet the requirements. It was only in 1947 that Congress passed a bill allowing naturalization for Indians. Between 1947 and 1965 there were only around 2,500 Pakistani immigrants in the United States according to reports from the Immigration and Naturalization Service. The largest numbers of Pakistani Americans have migrated to the United States since 1965, when the U.S. government lifted previously existing immigration restrictions and repealed quotas. Numbers of Pakistani immigrants swelled after 1970, with thousands of Pakistanis entering the United States each year since that time. Like their Asian Indian counterparts, they tended to be urban, well-educated, and professional. Many of them had come from cities like Karachi and Lahore, and were familiar with Western culture and ways of living. However, the dependents and relatives that they have since sponsored for permanent residence in and citizenship to the United States in the years after 1965 have tended to be characterized by lower levels of education. Figures from the 1990 U.S. Census indicate that there are about 100,000 Pakistani Americans in the United States. The largest percentage, 32 percent, live in the Northeast, with 27 percent living in the South, 21 percent in the West, and 20 percent in the Midwest. States with the highest concentrations of Pakistani Americans are New York, California, and Illinois. Pakistani Americans tend to settle in large cities, in part a reflection of the large Pakistani cities of Lahore, Karachi, and Rawalpindi that a majority of the post-1965 immigrants came from, and in part a reflection of the availability of jobs. Accordingly, there are significant settlements of Pakistani immigrants in cities such as New York, Chicago, Philadelphia, and Los Angeles. Although subgroup differences within the larger community are salient, with Pakistani Americans choosing to spend most time with members of their own ethnic and linguistic groups like Sindhis, Punjabis, and Baluchis, the community is also fairly united on a broader level. Very little has been written about the Pakistani American community. Many scholars writing about ethnic communities in the United States tend to lump the community together with the larger Asian Indian community, thereby glossing over the distinctiveness of the Pakistani Americans. For instance, in Arab, Armenian, Syrian, Lebanese, East Indian, Pakistani and Bangladeshi Americans: A Study and Source Book (San Francisco: E&R Research Associates, 1977), Kananur Chandras offers little distinction between the Asian Indian, Pakistani American, and Bangladeshi American communities and hence cannot be relied upon for information on Pakistani Americans. Others tend to assume, incorrectly, that Pakistani Americans, because they are overwhelmingly Muslim, can be described as a part of America’s Arab Muslim community. In addition, there is no comprehensive listing of Pakistani American organizations across the United States, or a listing of the communities newspapers or other media channels. There is considerable similarity between the cuisine of northern India and that of Pakistan, the entire region having experienced the same foreign invasions and cultural influences over the centuries. It is hence common to see restaurants featuring Indian and Pakistani cuisine under the same roof in the United States. However, Pakistani cuisine is quite distinctive and has many traditional dishes that are not necessarily shared with Asian Indians. Although regional variations exist, Pakistani cuisine in general tends to be highly spiced. Spices such as cumin, turmeric, and chili powder are common with Asian Indian cuisine. In addition, Pakistani American cuisine also includes such spices as cloves, cinnamon, and cardamom, a result of Arab influence. Meat dishes—lamb, goat, and beef—are common. It is also traditional for the meat to be kosher or halaal, cut in a way that ensures the slow draining of blood from the animal, for religious reasons. Also in keeping with Islamic tradition, pork is not eaten. Festive rice dishes include pulao, a fragrant dish of mildly spiced rice with peas or dried fruits, and biryani, which consists of rice and meat marinated in yogurt and spices. Dals, or lentils and split peas prepared in spicy sauces, are common. Whole peas like the chickpea, prepared in a flavorful sauce called cholle (“chollay”), are also popular. Vegetable dishes include saag (“sahg”) or spinach and aloomattur —potatoes and peas. Unleavened breads made with white and wheat flour are eaten with many meals; these include the robust naan, claybaked roti, and paratha. Traditional Pakistani sweets include zarda (“zahrdah”), a sweet, yellow, rice dish, jalebi (“jahlaybee”), an orange-colored, fried sweet made of a sugary syrup and flour, ladoo (“lahdoo”), a round ball of sweetened chick-pea flour embellished with pistachios or cashews and ras malai (“rahs mahlaee”), a dessert made of heavy cream. Tea flavored with cinnamon and cardamom is also drunk frequently. Another way to round off a meal is to chew paan, which is the broad leaf of the betel plant sprinkled with a lime powder and kaat and can be mildly euphoric. Most Pakistani American families eat at least one traditional meal a day, the main meal. It is prepared with fresh ingredients by the woman of the house. Although Western-style short cuts to food preparation like the use of canned or preserved substitutes are increasingly being used, cooking the main meal still remains quite a laborious chore. It is the woman who undertakes the task of cooking for the family, often with the help of daughters. It is still rare for male family members to be engaged in domestic chores like cooking and household cleaning. They would be more likely to work outdoors or be engaged in tasks like household repairs. Pakistani Americans regard the family meal as an important event in their daily lives. It is a time for the family to talk to each other about what events have transpired during the day and a time to be together and maintain contact in the face of busy individual schedules. Pakistani American men and women wear the traditional salwar kameez on festive occasions. The costume, consisting of a long tunic and tight or loose-fitting leggings or trousers and often including a diaphanous shawl or veil called the dupatta (“dooputtah”) for women, is commonly made of cotton or silk. Women’s costumes tend to be more colorful and intricate, often including exquisite embroidery or zari, a technique that involves the weaving of gold or silver thread into the cloth. It is more rare, but not unheard of, for some Pakistani women to wear the sari, the traditional costume of Asian Indian women. Like their Asian Indian counterparts, Pakistani American women enjoy wearing gold ornaments or jewelry, including bangles, bracelets, rings, and necklaces. Simple ornaments are worn daily, while more opulent ones, with settings of precious stones, are worn at weddings and other celebrations. These precious ornaments are often passed down through the generations as family heirlooms. Often on festive occasions, mehendi, or the application of a paste made with henna that dries in delicate, intricate designs on the palms of the hands, is sported by some women and girls in the community. A common dance performed by women in the community on festive occasions like weddings and other celebrations is the luddi (“luhd-dee”). Women dance in circles while rhythmically clapping their hands. Qawaali (“kawalee”), a genre of music that traces its roots to Sufi Muslim devotional and mystical music and that is meant to encourage religious ecstasy among its listeners, has many adherents within the Pakistani American community, and is also drawing increasing numbers of other Americans into its fold of admirers. It generally encourages intense listener involvement and response. The best-known group performing this music that has toured America in recent times is the Pakistani group Nusrat Fateh Ali Khan and Party. Groups performing the Qawaali generally include several singers and such instruments as harmoniums and tablas (“tublah”), a type of drum. The ghazal, a mellow, emotional style of ancient Persian lyric verse set to music and sung by both men and women, is also popular among members of the community. Film music, from both popular Pakistani films and Indian films in Hindi, also has many adherents within the community, particularly first-generation and recent immigrants. Pakistani bands that combine Western rock and pop tunes with Urdu lyrics are popular at celebrations. The International New Year is widely celebrated among members of the community. In addition, Pakistani Americans celebrate the creation of Pakistan on August 14 as Independence Day. The birthday of Jinnah, the founder of the Pakistani nation is celebrated on December 25, and Pakistan Day on March 23. Religious celebrations include Eid-ul-Fitr, festivities that signify the end of the month of fasting during Ramadan, and Eid-ul-Azha, a joyous observance of the pilgrimage to Mecca. Pakistani Hindus celebrate Diwali (“deevalee”), the festival of lights and Holi (“hoelee”), the festival of color that traditionally welcomes the spring. Celebrations on such days typically include visits to friends and family, the exchange of gifts and sweets, and invitations to feasts. Traditional costumes are worn. Celebratory parades in cities and towns where there are large Pakistani American communities are increasingly being held. Qawaalis, ghazals, mushaira (“mooshaeera”) or Urdu poetry readings, and Pakistani and Hindi films might be organized for community celebrations that might be held on festive days at the local community centers. Less common, but no less enjoyed in large cities with great ethnic diversity like New York, is the occasional cricket match that will be organized within the community or across cricket-playing communities like the Asian Indian and West Indian on holidays. Pakistani Americans take health issues seriously and consult health-care providers regularly. Family physicians are often chosen from within the community. Traditional herbal remedies might be employed to battle minor illnesses. Ayurveda and homeopathy are also employed. Ayurveda focuses on spiritual healing as an essential part of physical healing and bases its cures on herbs and other natural ingredients such as raw ginger and garlic. It emphasizes preventive healing. Homeopathy attempts to cure by stimulating the body’s own defenses against the illness. Members of the community are less likely, however, to seek help for mental health issues, a reflection of the traditionally low levels of consciousness of the subject in Pakistan and the social stigmas and skepticism that continue to be attached to it. Members of the community generally believe that families rather than institutional settings are best suited to take care of the mentally ill.
Urdu is the official language of Pakistan, although only about ten percent of all Pakistanis speak it. The majority of the population speaks regional dialects, like Punjabi, Baluchi, and Sindhi, which are taught is the nation’s schools along with Urdu. Urdu is a blend of four different languages—Hindi, Arabic, Persian, and Turkish—and is also spoken by Muslims in India. It conforms to a modified version of the Persian script and is therefore written from right to left, whereas Hindi, which utilizes Devanagari script, is written from left to right. English is also used in official interaction in Pakistan. About 30 percent of Pakistani Americans speak Urdu. A larger percentage, perhaps 50 percent, speak Punjabi. Others might speak Sindhi or Gujrati, reflecting their ethnic heritage and the regions of Pakistan from which they trace their ancestry. As a result of the legacy of British colonization, most Pakistani Americans are also fluent in English. While many first-generation Pakistani Americans continue to speak their native languages at home, offspring generally speak only English but understand their parents’ native tongue. Many American words that have no easy translation like subways, cable-TV or microwave oven have inevitably entered everyday Pakistani American communication. Pakistani Americans salute each other with the traditional Islamic greeting Salaam Aleikum (“sahlaam alaykoom”)—Peace be with you. The response to that greeting, conveying the same meaning, is Aleikum Salaam. Another common phrase is Inshallah (“insha-allah”)—God willing. Pakistani American families, like their Asian Indian counterparts, tend to be tightly knit and patriarchal. In the case of the early immigrants, often only males had formal educations, and they became the sole breadwinners. The nuclear family is most common, but members of the extended family like grandparents, aunts, and uncles visit frequently and for long periods of time. Siblings and close relatives are encouraged to visit America and are provided with financial and emotional support should they decide to eventually immigrate to the United States. The family, both immediate and extended, is the focus of existence for many Pakistani Americans. Many leisure activities for Pakistani Americans tend to be family and community oriented. Pakistani Americans prefer to reside in areas where there are other Pakistani American families who provide them with a sense of community. Since family ties are so strong, they also try to live close to relatives so that frequent visits are possible. Most first-generation Pakistani American women continue to fulfill traditional female roles, choosing to take care of the home and family rather than pursuing demanding careers. Second-generation Pakistani American women tend to be more resistant to traditional roles, but the pressures for conformity within the Pakistani community are still quite strong. Some young women report that this results in their “doing it all”—pursuing a demanding career as well as taking on the major responsibility of running the house and caring for the daily needs of the family. Traditional and religious values are very important to Pakistani Americans, and children are taught their history and culture at an early age. Special classes are held on weekends to teach children these aspects of their identity. Such classes include religious and language education. As is the case with many Muslims, religion tends to provide the guidelines by which the lives of many Pakistani Americans are lived. Dating is discouraged, and marriage between Pakistani Americans within the larger community in general and within the ethnic subcommunities in particular, with parental approval, is actively encouraged. Family and community members are widely consulted in selecting prospective marriage partners for young people. In recent times, there has been some tension between Pakistani American immigrant parents and their American-born children, as children question the need for parental involvement in questions of partner selection and ask for the freedom to date individuals of their choice. On the whole, education is highly valued among Pakistani Americans. Many first-generation males came to the United States with high levels of education and proceeded to study even further in the United States. The value of education was then transmitted to their children. Both girls and boys are encouraged to study hard, but it is often understood that it will finally be the male’s responsibility to be the major financial provider for his family. As is the case with Asian Indians, Pakistani Americans mingle with their American counterparts or with members of other immigrant ethnic groups in work situations, but often choose to spend their leisure time with members of their own community. Many Pakistani Americans report conflicting feelings about American culture and ways of life. While many aspects of American culture and society are admired, such as personal and political freedom, individualism, the country’s achievement in science and technology, and American economic efficiency, other aspects, such as premarital relations, dating, and divorce, are shunned. Again, regional differences prevail, with the more urban immigrants from Karachi tending to be more receptive of American culture and values than the more traditional immigrants who trace their roots to the provinces and rural areas of Pakistan. Members of the larger Pakistani community hold distinct perceptions of the different subcommunities that the community is composed of. For instance, Pakistanis tracing their roots to Lahore are generally considered to be more traditional and conservative than the more cosmopolitan, Westernized, and sophisticated immigrants from Karachi. The Sindhis and Baluchis are also considered traditional and conservative. Distinctions are also made between immigrants tracing their roots to rural Pakistan and those who have come from large urban centers. There is some interaction with and overlap between members of the Asian Indian and Pakistani American communities. This is particularly the case with those members of both communities who have the common bond of Islam between them and who might share in prayers at the same mosques and celebrate the same religious festivals. A Pakistani wedding is a time for great celebration. Traditional Muslims rites are observed, and friends and relatives are invited to join festivities that might stretch over several days and that include feasting on traditional foods. The legal portion of the ceremony is accomplished with the signing of the nikaah, or marital agreement, by the bride and groom. A moulvi (“moolvee”), or knowledgeable one, is present at all ceremonies and formally asks the bride and groom whether they accept each other in matrimony. The wedding is held at party centers, not in mosques, and traditional Pakistani music is played before and after the ceremony. While gifts of money and jewelry are traditionally given at weddings in Pakistan, the community in America tends to also give as gifts appliances or other household items that would be of use to the young couple. Jewelry is still frequently passed down from mother to daughter or daughters-in-law at weddings. Pakistani Hindus, on the other hand, follow the traditional Hindu ceremony, with the bride and groom circling the holy fire from three to seven times, and the priest chanting prayers. Pakistani Americans follow Islamic rites in burying their dead. No separate cemeteries exist for the community in America; rather, available cemeteries are used. In rare cases, the body might be flown to Pakistan for burial. Only males are allowed to participate in the actual burial ceremony. Pakistani Hindus are generally cremated according to Hindu religious tradition. In this ceremony also, males are given greater prominence. A death is a time for the Pakistani community to come together to provide emotional and sometimes financial support for the bereaved family. Most Pakistani Americans are devout Muslims, who pray five times a day facing the direction of the holy city of Mecca. Religion figures prominently in the life of Pakistani American families, and the Holy Quran and the teachings of the Holy Prophet serve as the guidelines that Pakistani Muslims follow throughout their lives. Families often visit the mosque once a week, usually on Friday afternoons, where the Imam leads the prayer. If it is not possible to visit the mosque for Friday prayers, Sunday prayers are another popular alternative. Children are encouraged to attend religious education classes held on weekends and during the summer vacation in substantially populated communities. Both men and women must keep their arms and legs covered while in the mosque, and covering the head is also encouraged. The sexes must sit either in separate rooms or in separate groups within the same room for the duration of the prayers. The majority of Pakistanis belong to the Sunni sect of Islam, although a significant representation may also be found among the Shi’ite sect. Sunnis, or Orthodox Muslims, believe that the community is responsible for maintaining Islamic law. This law, or shari’a, is based on four sources, which in descending order of importance are: the Quran; the examples and teachings of the prophet; communal consensus (later the consensus of religious scholars) on Islamic principles and practices; and reasoning by analogy. Shi’ites, who are followers of Muhammad’s cousin, Ali, believe that Muslim religious leadership descends through blood lines. They also differ from Sunnis through certain religious procedures. In smaller towns in America where there may not be mosques within easy access, Pakistani Americans make special trips to attend the nearest one on major religious holidays and occasions. Pakistani Americans worship at mosques alongside other Muslims who might trace their ancestry to all parts of the Islamic world and to India; there are generally no separate Pakistani American mosques. Pakistani Americans also participate in and contribute to the larger Islamic community, which includes Arab Americans and African Americans, in America. They are part of the larger community’s efforts to educate the country about the ideals of Islam and the teachings of the prophet Mohammed. Pakistani Americans have played important roles in the association the Muslim Students of America (MSA), which caters to the needs of Islamic students across the United States. Although the overwhelming majority of Pakistani Americans are Muslims, there are also Hindus, Christians, and Zoroastrians within the community. Some Hindus chose to remain in the newly created Pakistan after partition, and they form the core of the Pakistani Hindu community. Hindus are part of a religious tradition that is less structured and less formally organized than other religions like Islam and Christianity. Hinduism is a polytheistic religion, with Hindus generally worshipping many gods, including Brahma, the God of Creation, and Surya, the Sun God. The Hindu community today has access to more than 100 temples all over America, with the oldest one being in San Francisco. It is also common for Hindus in the United States to worship at home, where a small room or portion of a room may be set aside for worship and meditation. Pakistani Christians, like Asian Indian Christians, worship at churches all over the country and share in the religious life of the dominant Christian culture in America. Zoroastrians or Parsees trace their roots to ninth-century Persia, and form a minuscule religious minority in both India and Pakistan. They have prospered in trade and the professions in both these countries, as also in America, where reports of the earliest Zoroastrians were documented as early as the turn of the century. In recent times, Pakistani Zoroastrians have come to the United States mainly from the Pakistani cities of Lahore and Karachi. The profile of the Pakistani American today is dramatically different from the earliest Muslims immigrants from the Indian subcontinent, who came to the United States as manual and agricultural workers with few skills and little or no education. Many Pakistani American males who entered the United States after 1965 were highly educated, urban, and sophisticated, and soon found employment in a variety of professions such as law, medicine, and academia. In the post-1965 wave of immigration, many Pakistanis also came to America as students who earned graduate degrees that enabled them to pursue successful careers in a variety of fields. Some members of the community immigrated to the United States with specific educational backgrounds in fields like the law but failed to find positions within that specific field because their qualifications and experience did not transfer readily to the American context. They have either retrained themselves in other professions or fields, or have had to be satisfied with accepting positions that are meant for individuals with lesser educational qualifications than they have. This is the price that some of these immigrants have paid to settle in the United States. Most of the community today lives a comfortable, middle-class and upper-middle-class existence, although there might be some incidence of poverty among newer uneducated immigrants. These immigrants tend to take low-paying jobs involving manual or unskilled labor and tend to live in big cities where such jobs are readily available. Many Pakistani Americans also own their own businesses, including restaurants, groceries, clothing and appliance stores, newspaper booths, and travel agencies. It is common to include members of the extended and immediate family in the business. Pakistani Americans tend to follow the residence pattern set by other Americans, in that they move to more affluent suburbs as their prosperity increases. Members of the community believe in the symbolic importance of owning homes; accordingly, Pakistani Americans tend to save and make other monetary sacrifices earlier on in order to purchase their own homes as soon as possible. Members of the family and the larger community tend to take care of each other, and to assist in times of economic need. Hence, it would be more common to turn to a community member for economic assistance rather than to a government agency. Relatively low levels of the community are therefore on welfare and public assistance. In the early part of this century, Muslim immigrants were actively involved, along with their Hindu Indian brethren, in the struggle for residence and citizenship rights in America. Since the second wave of immigration in 1965, the Pakistani American community has not been politically inclined, but this is now changing, with the community starting to contribute funds to their candidates of choice in both parties, and running for elected office in districts with large Pakistani American populations. In recent times, Pakistani American candidates have run for the state senate in districts of such city boroughs as Brooklyn in New York. Because the community is geographically dispersed, the formation of influential voting blocs has not generally been possible, making it difficult to for the community to make an impact on politics in this particular way. However, there are increasing efforts on the part of community leaders to ensure voter registration and involvement. Like the Asian Indians, Pakistani Americans tend to vote Democratic in larger numbers than Republican. Most Pakistani Americans maintain close links with relatives and friends in Pakistan. First-generation Pakistani Americans travel to their native land at least once every few years, and tens of thousands of airplane tickets are sold to Pakistani Americans every year. They often take back to Pakistan gifts of money, food, and clothing for friends and family, and donate generously to charities. Second-generation Pakistani Americans tend to travel to Pakistan less frequently as ties become attenuated. 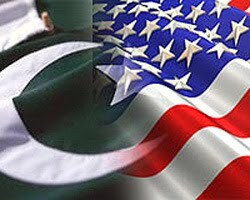 The relationship of the U.S. and Pakistani governments in the past few decades has been very close, and the Pakistani American community has benefitted from this American interest in the country of their origin. Pakistani Americans maintain a deep interest in the society and politics of Pakistan. Funds are raised by the community in America for the different political parties and groups in Pakistan. Tensions among ethnic groups like the Sindhis, Punjabis, or Baluchis, in Pakistan tend to be reflected in interaction between these subgroups in America, but to a much lesser extent. Tensions between India and Pakistan also tend to be reflected in the relationships between Asian Indians and Pakistani Americans. Pakistani Americans have achieved success in many fields, particularly in academia, where they hold positions of respect as faculty members in many prestigious universities. Mohammad Asad Khan (1940– ), a geophysicist and educator, is on the faculty of the geophysics and geodesy department at the University of Hawaii. He has also been a visiting scientist at numerous institutions, including NASA’s Goddard Space Center. Altaf Wani is an associate professor of Radiology at the Ohio State University. Mazhar Ali Khan Malik is a professor of economics and engineering and founder of the Pakistan League of America (PLA). Samuel Iftikhar (1923-1991) was an Asian scholar and reference librarian at the Library of Congress, Washington, D.C. for more than 25 years. He worked mainly in the Southern Asian section of the library. Samina Quraeshi (1946– ) is the director of design arts at the National Endowment for the Arts (NEA) in Washington, D.C. She holds dual Pakistani and American citizenship and is a graduate of the Yale University School of Art and Architecture. She has been a design consultant who has run her own business. Dr. Salam Shahidi (1933-1992) was a leading medical researcher in the department of health, New York City. He was also vice-chairman of the Pakistan League of America (PLA) and president of a cultural organization called the National Association of Pakistani Americans. Dr. Muhammad Akhtar is currently the commissioner of Public Health in Washington, D.C., a position he assumed in 1991. He was born in Lahore, Pakistan, and has held important posts in the health departments of the states of Michigan and Missouri during the 1970s and 1980s. Dr. Amanullah Khan (1940– ), a physician, served on the faculty of West Pakistan Medical School. He was a fellow in hematology and oncology at the Wadley Institute of Molecular Medicine in Dallas, Texas, between 1966 and 1969, and has been the chair of the department of immunology from 1970. He is the author of several books and has written several articles in scholarly journals in his field. Dr. Shafi Bezar, a Manhattan surgeon, is also publisher of the community newspaper Awan, and president of the Pakistan League of America (PLA). Dr. Mohammed Sayeed Quraishi (1924– ) holds a doctorate from the University of Massachusetts. He has served as a member of the United Nations WHO team to Bangladesh and has been an entomologist at the Malaria Institute of Pakistan. He has served at the National Institutes of Health in Bethesda, Maryland and the National Institute of Allergy and Infectious Diseases. He is the author of many books and received the Recognition and Appreciation of Special Achievement Award by the National Institute of Health in 1988. The news group bit.listserv.pakistan provides news of events in Pakistan. Published in New Jersey in English and Urdu. Features articles of interest to the community and news from Pakistan. A community newspaper that features articles on community engagements, other topics of interest to the community in America and news from Pakistan. It is published in New York City. Includes articles of interest to the community, news about social engagements involving the community in New York and the United States. An English language weekly focusing on the Pakistani American community and on events in Pakistan. It is published in New York by Zafar Qureshi. Description: Informs the general public of current political, economic, and cultural developments and events in Pakistan. Formerly Pakistan Affairs. Address: Embassy of Pakistan, 2315 Massachusetts Avenue NW, Washington, D.C. 20008. Telephone: (202) 939-6227 Fax: (202)265-5184. A program often shown on international cable channels all over the United States, includes Pakistani soap operas, films, and plays. Cities like New York and Los Angeles with relatively large Pakistani American settlements have weekly Pakistani feature and news programs. Address: TV Asia, c/o International Channel, 12401 West Olympic Boulevard, Bethesda, Maryland 20814. Many associations tend to be headquartered in big cities with significant Pakistani American populations. Some associations and organizations are restricted to the interests of particular ethnic and regional communities like Punjabis or Sindhis and subsects thereof. The list that follows are pan-Pakistani organizations—those that do not distinguish on the basis of ethnic or regional groups. Association of Pakistani Physicians (APP). APP is an organization of Pakistani American physicians and dentists. Focuses on how to better serve the health needs of the Pakistani American community and of all Americans. Address: 6414 South Cast Avenue, Suite L2, Westmont, Illinois 60559. Telephone: (630) 968-8585 Fax: (630) 968-8677. Muslim Students of America (MSA). Founded in 1963 to serve as a voice for Muslim students in American universities and today has chapters in most major cities in the United States and Canada. Pakistanis have played a leading role in the organization from its inception and have held key roles in its administration. Holds conferences annually on subjects relevant to the Muslim academic community. Pakistan League of America (PLA). Membership ranges in the thousands. Promotes Pakistani culture in America, holds national conventions and seminars on issues of interest to the community. Promotes Pakistani culture and heritage within the United States. Address: 1035 Bridgewater Walk, Snellville, Georgia 30278-2050. PAL-C was created to fill a much needed void – an organization that would devote its resources solely to give the Pakistani American community a voice and a presence on Capitol Hill. Promotes trade between the United States and Pakistan. Offers information on economic and social conditions in Pakistan.Address: 500 Fifth Avenue, Suite 935, New York, New York 10110. Integral unit of Middle East Center, University of Pennsylvania. Pakistan, including language and political identity or ethnicity, ideology and culture, national integration, and cultural history. Address: University Museum, 33rd and Spruce Streets, Philadelphia, Pennsylvania 19104-6398. Contact: Dr. Brian Spooner, Director. Telephone: (215) 898-7461 Fax: (215) 573-2003.